With the experiences we gained in the past dealing with almost all of the major industries in the Philippines we have encountered and solved problems in terms of design - products selection - and installation. We have the most complete installation equipment in the Philippines and we collaborate with our Supplier on the latest technology and innovation in Refractory. Supply of skilled labor – Gunners, Bricklayers, Refractory Mason, etc. Anchor design, supply and installation. Our top priority is how we can assist and help our client increase productivity and to attain optimum lining service performance by recommending only the right materialsl available on the right application and to deliver all installation safely, within specification and schedule. Gunniting of all types of Refractory Castable - delivering material from ground up to maximum level of 150 meters (500 ft) – Application : Power Plant Smoke Stack and Furnace walls, Cement cyclones and Coolers, Petrochemicals, Oil Refinery. Casting Works – our services includes but not limited to demolition of existing lining, anchor installation, carpentry works and casting works – we supply all equipments needed. 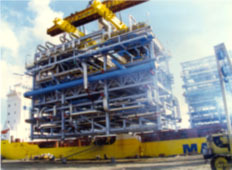 Casting and Gunning installation for modules – we do relining of equipment parts in workshop and ship to plant location. 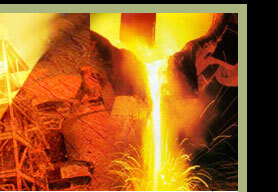 We have gained enough experiences in Refractory Installation working with local and foreign Clients in various types of Furnaces for more than a decade delivering Safety, Quality and Speed consistently. Thermal Insulation Business started in 1997 and the first major project completed was the Piping System of modularization project for BHP Australia thru AG&P covering a total area of approximately 4,800 sq m. Recent project done was the complete insulation works for 50 MW Power Plant covering a total area of 12,000 sq m.
SPSI is committed to further develop the thermal insulation business. Recently we increase our investment by acquiring new equipments, such as motorized grooving and rolling machine; 8 ft bending machines and various portable tools. We project that the demand for insulation works will increase for the coming years because of the plan to construct new Power Plants as plans to expand the Petrochemical Production. 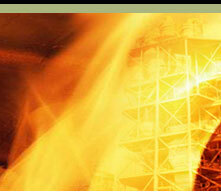 Our Scaffolding system was developed to complete our solutions for our Refractory Installation Services. For a safe and more efficient project implementation. 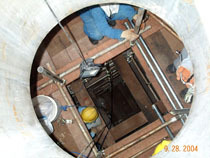 Our services cover supply and erection of tubular scaffolding system as well as rental. 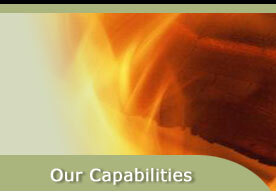 All our system is in accordance with the acceptable standards in the industry.